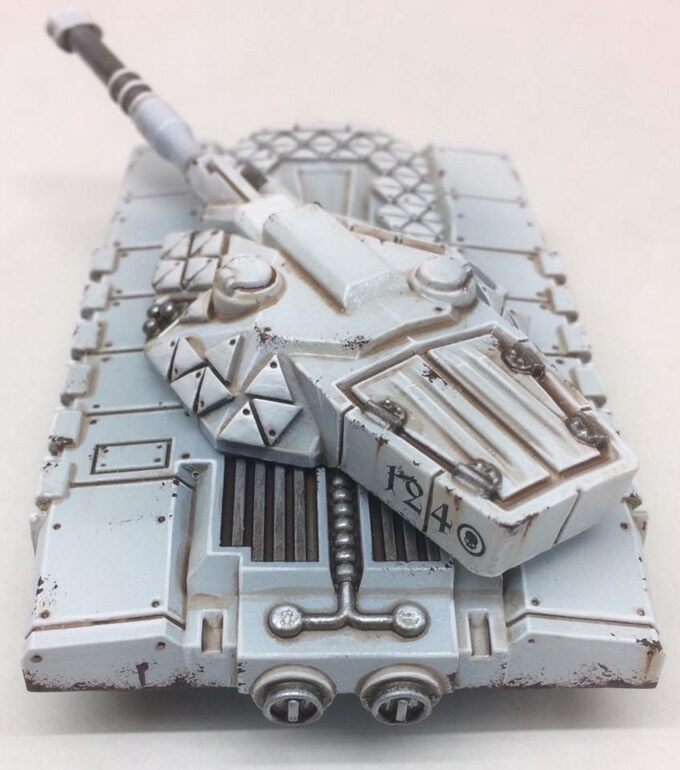 Von Catalyst Miniatures kommt dieser kleine Kickstarter, der einen Panzer im 15mm Maßstab finanzieren soll. 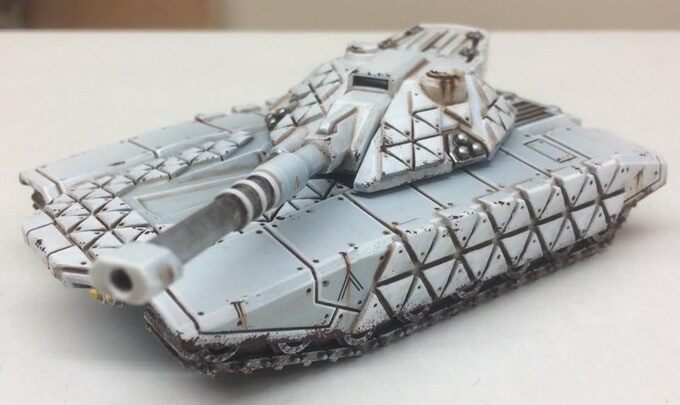 A 1:100 scale, futuristic high quality resin battle tank designed for 15mm-20mm scale wargaming. 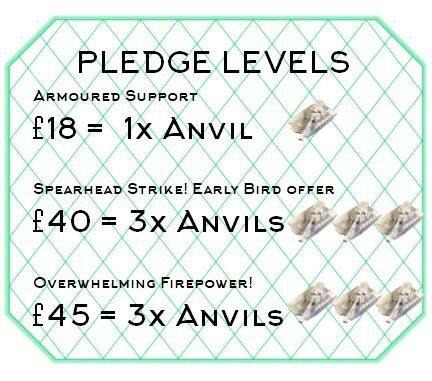 Hello and welcome to the Anvil Battle Tank Kickstarter! 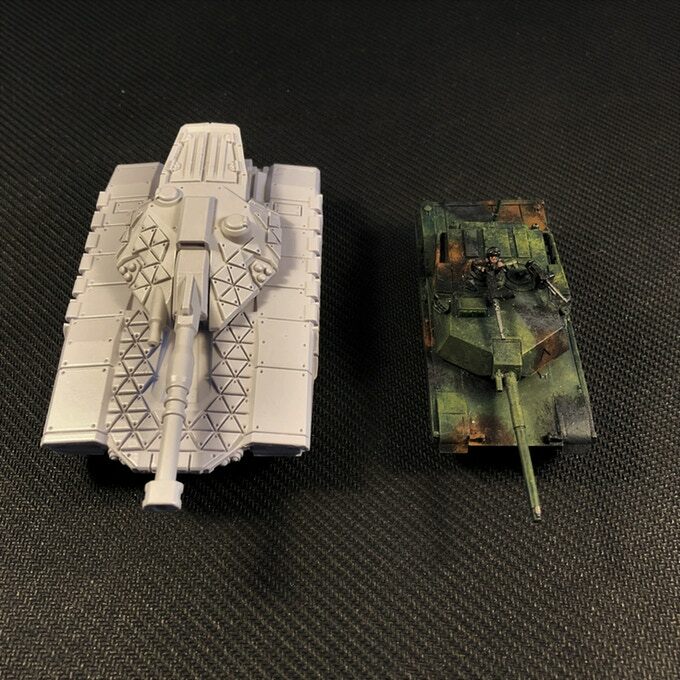 The aim of this Kickstarter is to launch Catalyst Miniatures’ first of many models designed to be compatible with various existing 15mm-20mm scale wargames. The Anvil possesses many characteristics seen in both contemporary and futuristic designs, with the intention of blending different ideas to create a cool, exciting vehicle for use in your games, or just as a standalone piece to paint and enjoy. The Anvil will eventually be one of a family of vehicles to go with Catalyst Miniatures‘ future table top game From Ashes™. This Kickstarter will help bring this vision to reality, helping to deliver this vehicle to you and fund further designs. The Anvil is a medium-to-heavy class main battle tank, or MBT, designed to seek, find, and ultimately annihilate the hardest targets on the battlefield. It’s armed with a 115mm high-velocity cannon with High Explosive Anti Tank and Kinetic Energy rounds to deal with anything it comes across, plus a coaxial mounted 20mm rapid-fire chaingun to neutralise soft targets, infantry and even low-flying aircraft. 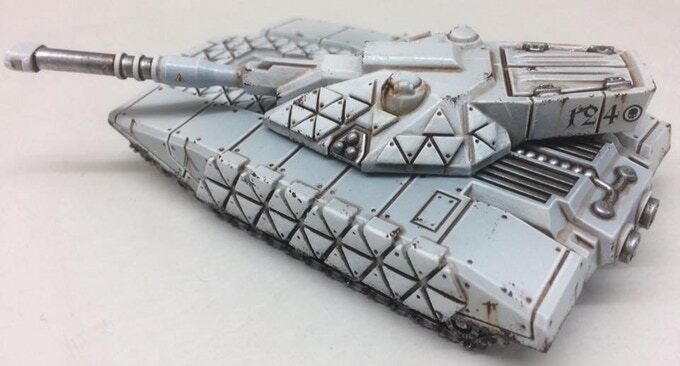 The tank’s hybrid-turbine engine provides a huge amount of power to the heavy vehicle, making it an agile hunter despite it’s thick composite titanium armour. In addition to this passive protection, it has multiple banks of electric armour pads, which, combined with turret mounted smoke dischargers, enable it to defeat various incoming threat types. Overall, the Anvil is designed to go head-on with enemy heavy vehicles and control the battle-space. 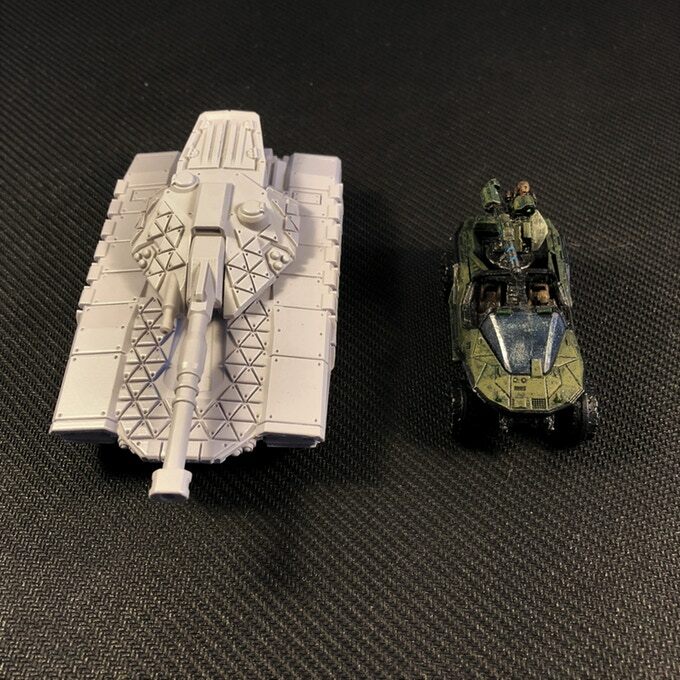 The Anvil’s size easily qualifies as a larger class of vehicle for 15mm scale wargames. Its dimensions being roughly 63mm wide by 105mm long (122mm gun forward) and 35mm high, and so creates a dominating presence to both the battlefield and your collection. As you can see it will make an interesting addition to any existing range of sci-fi miniatures. Hi! My name’s Barn and I run Catalyst Miniatures, a new up-and-coming miniatures company. 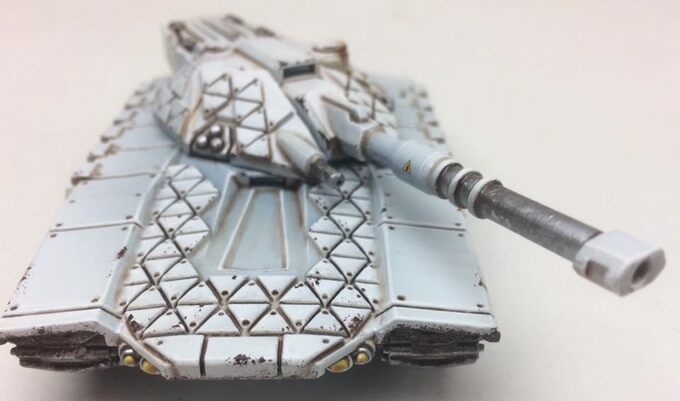 I have worked in the wargames world for all almost a decade and a half with some of the biggest companies in the industry, with recent years focusing on contributing work to several others. I’ve got a huge passion for wargames, and have over the years developed my own vision of what that looks like. I’m personally inspired by near-to-medium future science fiction, and have found myself collecting concept art books from a variety of sources, from video games to movies all fitting this narrative. I want to invite you on a journey to explore this vision, and help me create a range of models to go with it. The Anvil being the debut ‚taster‘ of what’s to come, but trust me that others are on the way! …but I’ve never heard of you – are you sure you can deliver? A key concern, in the current environment, is the successful delivery of models by a new wargames company. At Catalyst Miniatures a key aspect of our Kickstarter will be the ability to deliver as soon as possible. 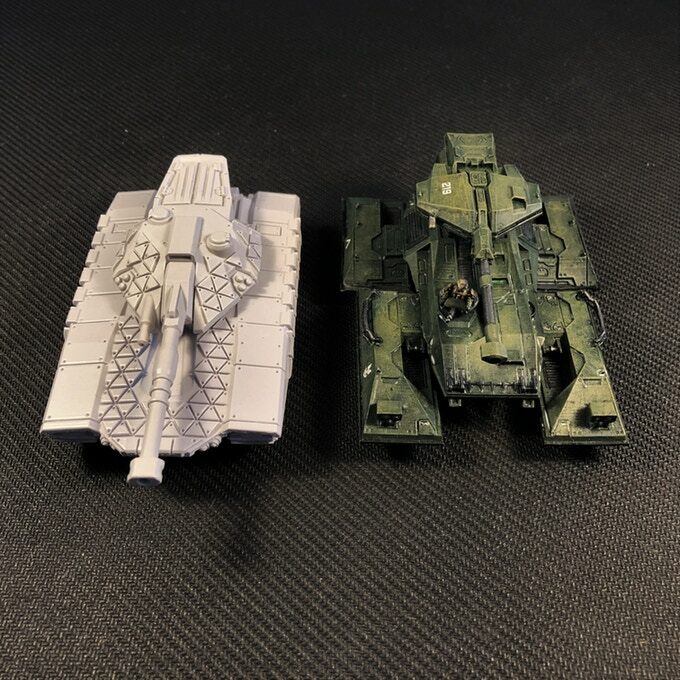 This is why this particular Kickstarter is to focus on the Anvil tank, instead of a whole range of miniatures, each with their own logistical challenges. Already, the Anvil tank is in the preproduction phase, with the embedded images being several examples of what you can expect. The creative and conceptual process has already been completed, and all you have to do is make your pledge and your vehicles will arrive during summer 2019. 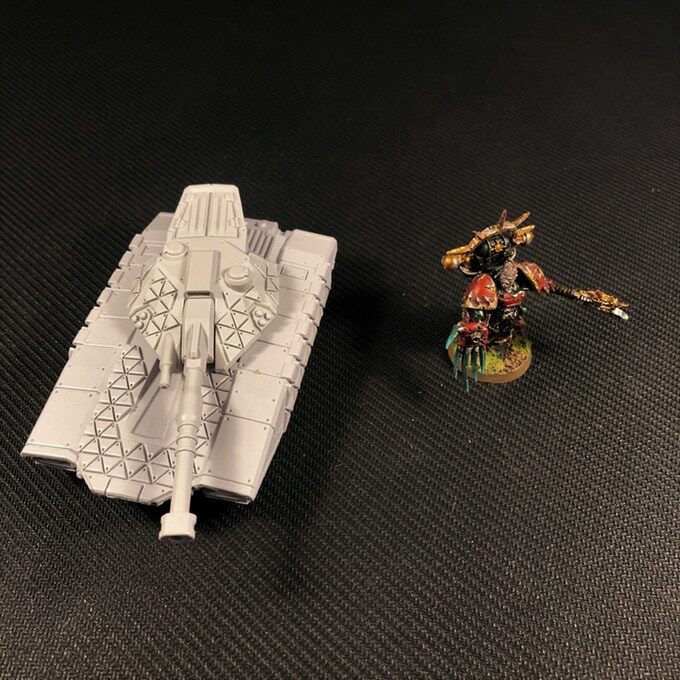 As already mentioned, the ultimate aim is to explore and expand a range of miniatures over the next few years, with the intention that these will be compatible with the From Ashes™miniatures game. This is currently available as a free download beta version in the playtest group, and we invite you to leave your thoughts and feedback on the Catalyst Miniatures Facebook page and From Ashes™ Playtesters public group – come and join us and be a part of a new, exciting sci-if universe! It is also important to note here that the backer is responsible for any import duties and extra costs incurred. We’re looking at July for our deliveries to arrive to you. Will these be available at a later date after the KS? Assuming all goes well, the Anvil will be available for general release with a planned RRP of £20. Keep an eye on our Facebook page for updates and further news about this range as it develops. The concept, design and sample phases have all been successfully executed, with the images above being preproduction versions which will reflect the final quality of the finished models you will receive. The primary possible source of risk is potential delay in postage due to exceeding demand or other unforeseen factors out of our control. However, due to the simple fact that the focus of this Kickstarter is a single model with straightforward pledge options, this should mitigate any such unpredictable scenarios‘ effects on getting your orders delivered. In addition we have total and utter faith in out partners at CMA Creative Solutions Limited (who will be mass-producing the tank); they’ve got a proven track-record of delivering efficiently and on-time. It’s worth noting at this point that production will be carried out in its entirety in the United Kingdom. Die Kampagne steht aktuell bei 576,00 USD, das Ziel liegt bei 775,00 USD bei einer Restlaufzeit von 25 Tagen.